At the ongoing Cloud Next Conference in San Francisco, Google has announced a major update for its cloud storage solution – Google Drive. The tech giant is expanding on features such as File Stream, Quick Access, and Google Vault among others to make the solution look more attractive to businesses — and potentially the general populace as well. One of the most significant feature additions is ‘Drive Teams,’ which as the name suggest allows you and your team to store documents in a common shared folder. In the official blog post, Alex Vogenthaler, Group Product Manager at Google Drive says that cloud storage solutions weren’t exactly designed to handle such an explosion of data. So to manage this amount of shared data, there arises a need to provide better control, structure, and security. Drive Teams enables any business to maintain a central repository of information, thus, eliminating the need for multiple tools. It has provided admins with robust controls to add new team members, track the file storage and maintain it when a member comes or goes. It effectively increases the pace at which you can collaborate and work on a project, simply by sharing a shared folder where each team member is a co-owner of the files. The hubbub of permissions has been nixed via this update. Further, Google Drive is making it easier for administrators to manage the massive amounts of data within the company. 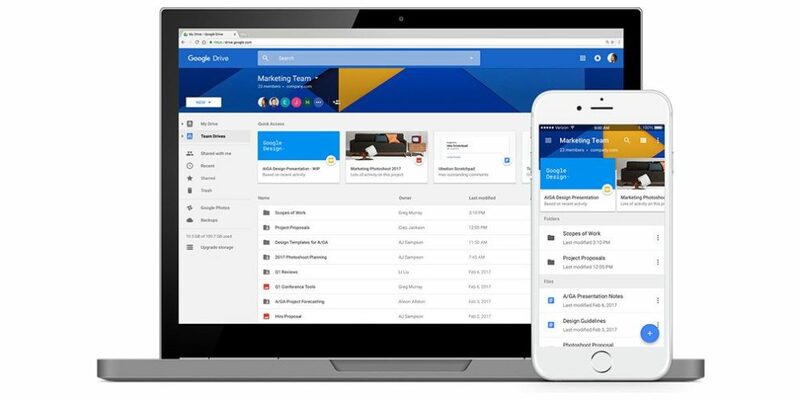 The update is expanding the scope of its “Google Vault” feature, which allows you to better manage and secure data in employee and team drives. It also provides you with tools to set retention policies to automatically protect sensitive or legal data and get rid of unwanted files. Thus, it helps the enterprises optimize their total file storage on the cloud. 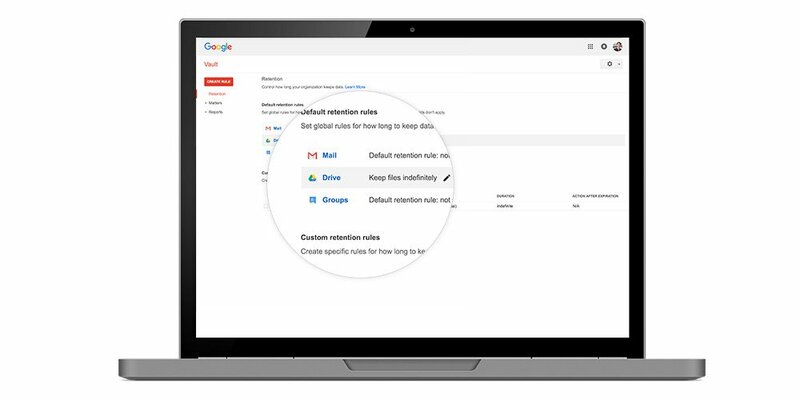 This update is also making it easier for enterprises to migrate existing data from their file servers, content management systems or any other cloud platforms to your G Suite Google Drive. This, the blog post says, has been made possible with the acquisition of a migration tool called AppBridge. Google is currently also working to integrate its consultancy and migration services into G Suite. Another highlight feature of this Google Drive update would have to be the addition of ‘Drive File Stream’ to the service. This tool has currently been made available through an Early Adopter Program (EAP) and allows you to access files on your computer on-demand. Drive File Stream is similar to Dropbox’s smart sync feature, which intelligently chooses the files it needs to make available for offline use on your computer. This means you can now install Google Drive on your Windows or Mac PC, without worrying about space. Other features coming to the cloud platform with this update include — Quick Access, powered by Google’s machine intelligence tries guessing and surfacing the file you might be looking for when you open up the Drive. It is currently being made available on Android and iOS, with a web version coming pretty soon. While most aforementioned features have been designed keeping enterprises at the back of mind and shows Google is gearing up to enhance the productivity features of G Suite. Also, announced today on stage was the surprisingly large number of users who’re currently using Google Drive to store and manage their files on the daily. This figure has now crossed over 800 million, making it the largest online file storage solutions on the market.